Selma is located high on the banks of the Alabama River in Dallas County of which it is the county seat. The city is best known for the Battle of Selma and for the Selma to Montgomery Marches. Selma is home to the largest contiguous historic district in the State of Alabama. 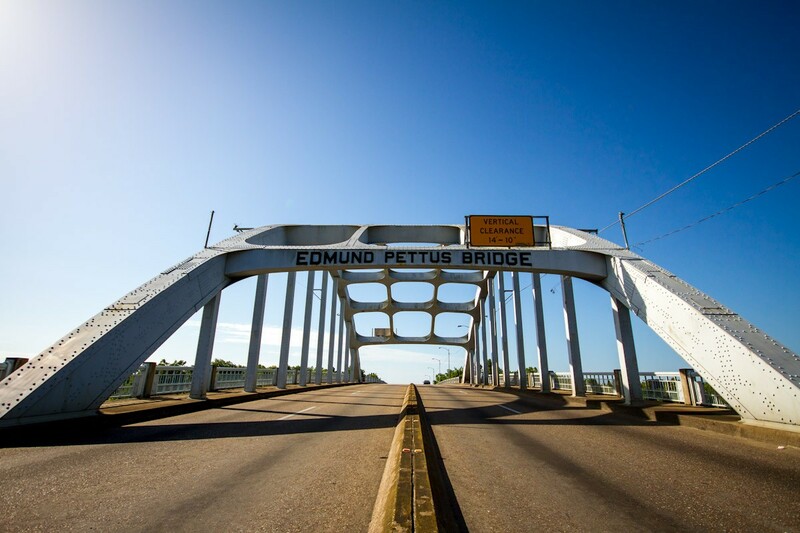 The city is best known for the 1960s Selma Voting Rights Movement and the Selma to Montgomery marches, beginning with “Bloody Sunday” in March 1965 and ending with 25,000 people entering Montgomery at the end of the last march to press for voting rights. Redesign a the city website to fit the vision of its new Major. 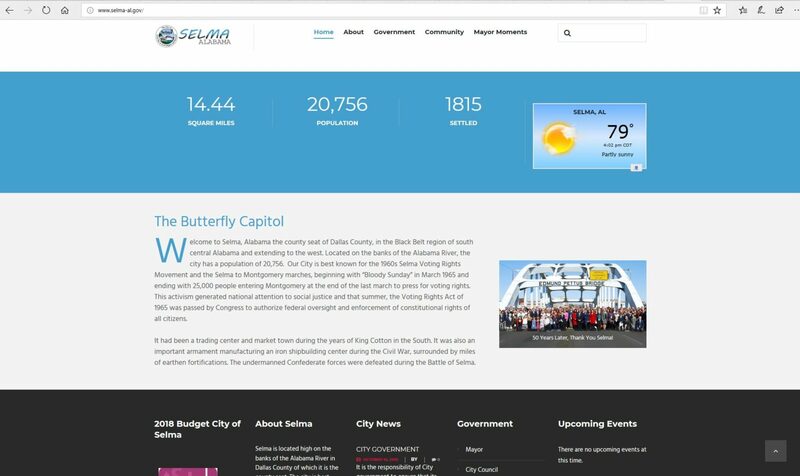 Provide moden media resources to connect with citizens of the City of Selma. For a Historical city we needed a modern design the focus on the historical mean of the city. Selma is not only a city but a symbol of history and struggle. We used full motion video in the site header to draw attention to the city's highly recognizable bridge "Edmund Pettus Bridge". 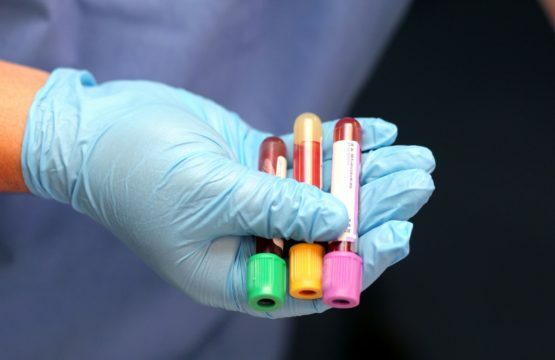 We add resource that provide the new Major of Selma Alabama communication and connect of their citizens.